The Milwaukee Journal Sentinel reported on Wednesday that Walker says he has “no problem” with people protesting his policies “every day for as long as they want” while he’s in office. He says they can avoid arrest, by taking the easy step of obtaining a permit, which would allow them to protest in the Capitol. 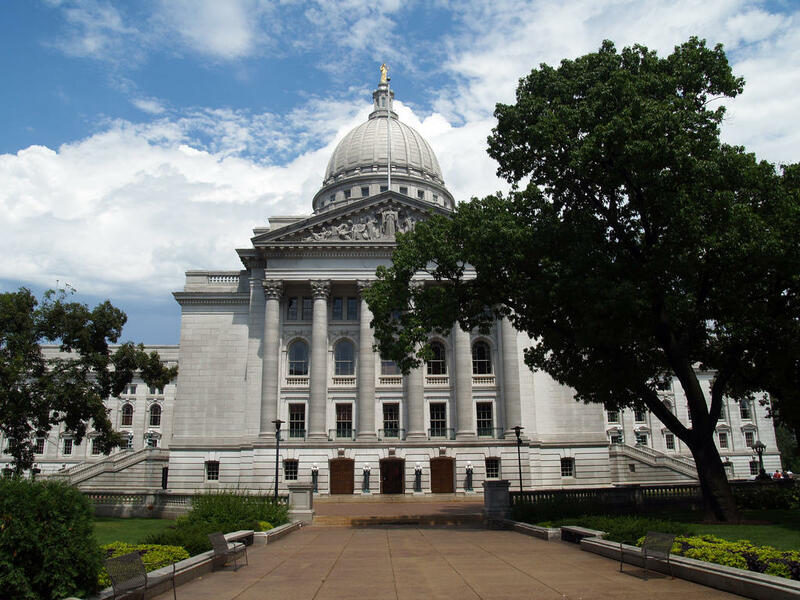 Last month, Walker’s administration began enforcing the rule that requires permits. Officers started arresting singers who’ve gathered at noon nearly every day for more than two years, to sing songs in opposition to Walker and his fellow Republicans. More than 300 protesters have been arrested so far. They say they don't need a permit, because they're exercising their right to free speech. On Monday, police carried out two men who refused to leave. They resisted arrest, and an officer was injured in the altercation. A UW-Madison expert on police procedure, Michael Scott, told the Wisconsin State Journal that the police tactics are only serving to provoke protesters. The U.S. Senate Sergeant at Arms, Terrance W. Gainer, told the newspaper that officers become targets, when they arrest protesters.